REID Peacefully in the end at Ach an Eas Care Home, on Friday, April 12, 2019, Alistair Reid (Ally), 14 Culburnie, Kiltarlity, aged 66 years. Beloved husband to Sandra Urquhart, much loved dad to Susie and Jenny, father-in-law to Kevin, devoted granda to Eilidh and Liam, great-granda to Hallie, sadly missed. 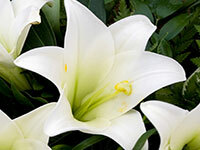 Funeral service on Thursday, April 18, at 1pm in Kiltarlity Church of Scotland, thereafter to Tomnacross Burial Ground. All Welcome. Donations kindly invited for Pancreatic Cancer at the service or please forward to William T Fraser and Son, Culduthel Road, Inverness.